Labriola Chicago brings the many passions of artisan baker Rich Labriola to a beautiful space, offering several options for dining, drinking and take-out. The venue houses an elegant full-service Italian restaurant and private event space with seasonal outdoor seating for lunch and dinner, a cocktail lounge that serves food from the restaurant, and a bakery café that sells baked goods, including Stan's Donuts, and serves breakfast and lunch. 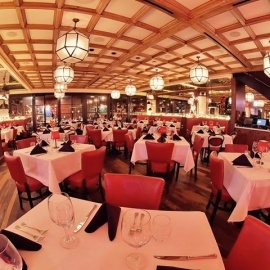 The main dining room and bar is the perfect place to place to sip classic and contemporary cocktails, enjoy the city's best classic Italian food, savor amazing wines, re-connect with friends and colleagues. The bakery café features an approachable lineup of sandwiches, pastas, salads, and pizza, all made with the highest quality ingredients and the attention to detail that has made Labriola famous. For those seeking sweets, the café offers freshly baked Labriola bread, pastries, and Stan's Donuts, in addition to Intelligentsia coffee drinks. 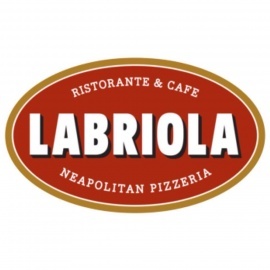 A high quality catering menu is available for office lunches and social events, and Labriola Chicago has room for private parties of up to 150 people. Sprawling place with a counter-serve cafe area, dining room with Italian fare & a bar serving food.